Helping old dogs find loving homes. Homes & volunteers needed across the UK. 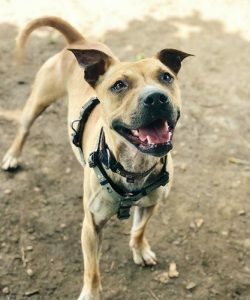 NEED TO REHOME YOUR DOG? This dog has found a new home and is no longer looking. 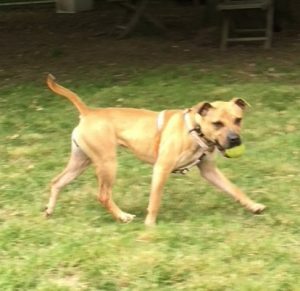 14/1/19 – Shola & Carly have found a new home! 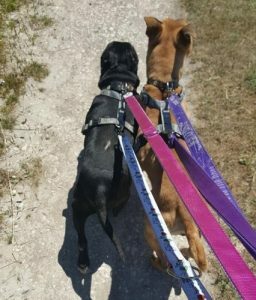 Rescue Remedies present to you Shola and Carly, who are currently melting the hearts of everyone they meet at their kennels in Gatwick, West Sussex. 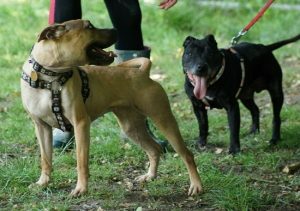 They are a pair of strongly bonded Staffy girls, both are on the small side. Shola is 13 years old, Carly is 4. 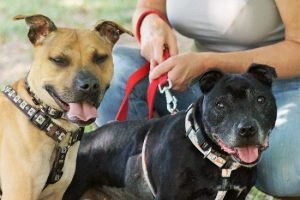 They’d been neglected and starved previously and Shola had some lumps and bumps to sort out, but they’re now happy, well rounded ladies who are ready to find their new family. 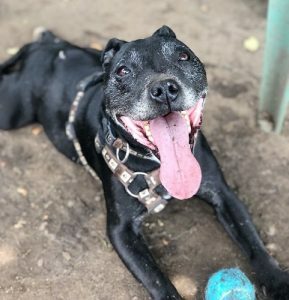 Several volunteer walkers at the rescue have said the following about them…“I was a little concerned whether Shola would manage one of our treks. She isn’t young and she is still shaved from her recent surgery to remove some lumps. I needn’t have worried! Both dogs were so easy to harness up and very happy to set out. To see many more photos of these cuties on their forum thread, click here. 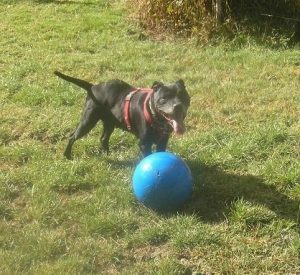 If you’d like to enquire about Shola and Carly, please contact Rescue Remedies by filling in their online homing questionnaire. To access it click here. Please say you saw Shola and Carly on the Oldies Club website. Rehomed This dog has found a new home and is no longer looking.